I have a thing for reindeer! 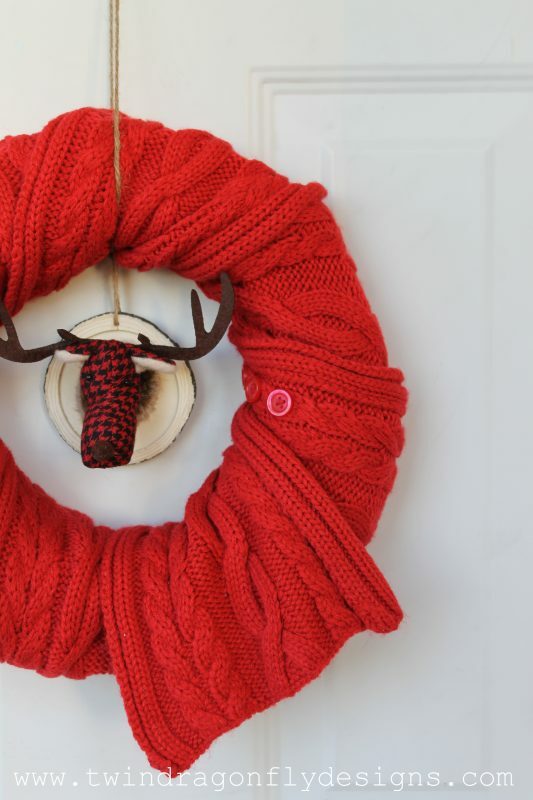 And this plaid cutie just screams FRONT DOOR to me. 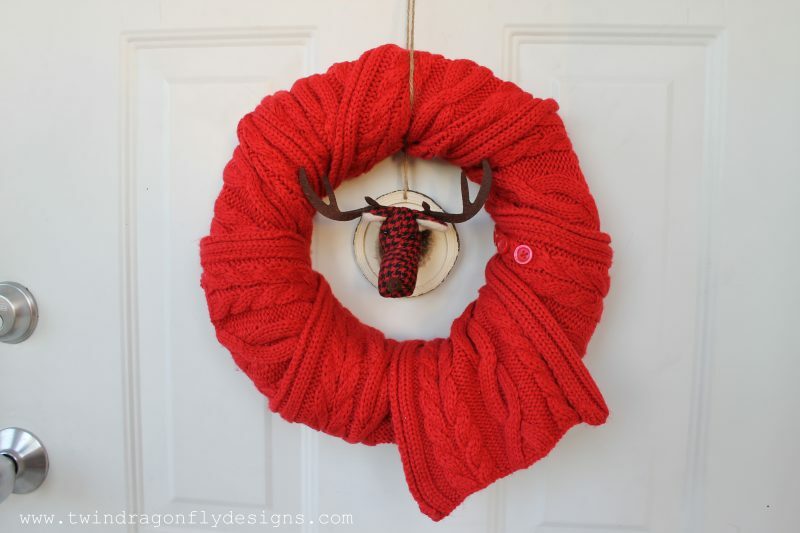 Paired with the texture of this lovely red scarf they make a perfect addition to my holiday decor! 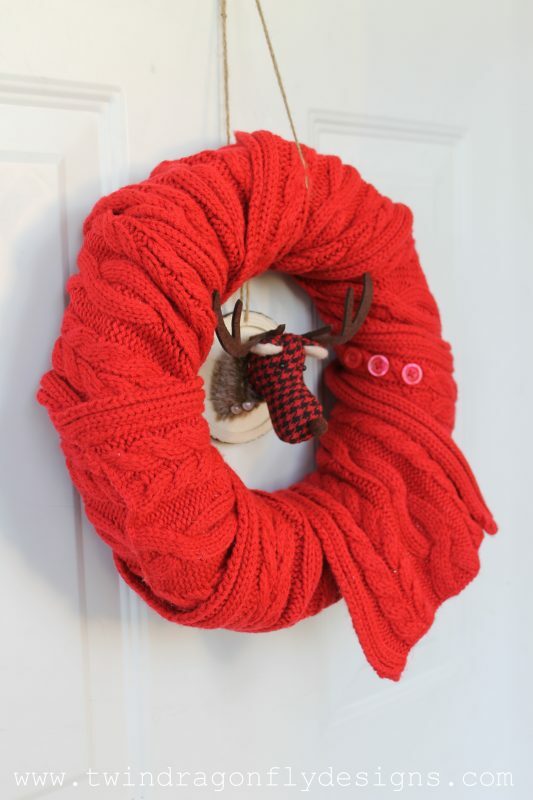 All you really need to create this look is a scarf and wreath form. 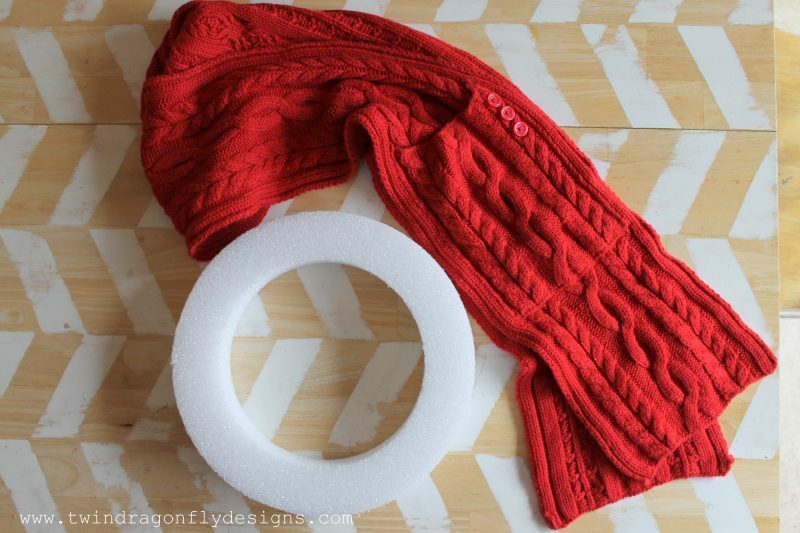 I simply wrapped the scarf around the styrofoam form and pinned it in place. 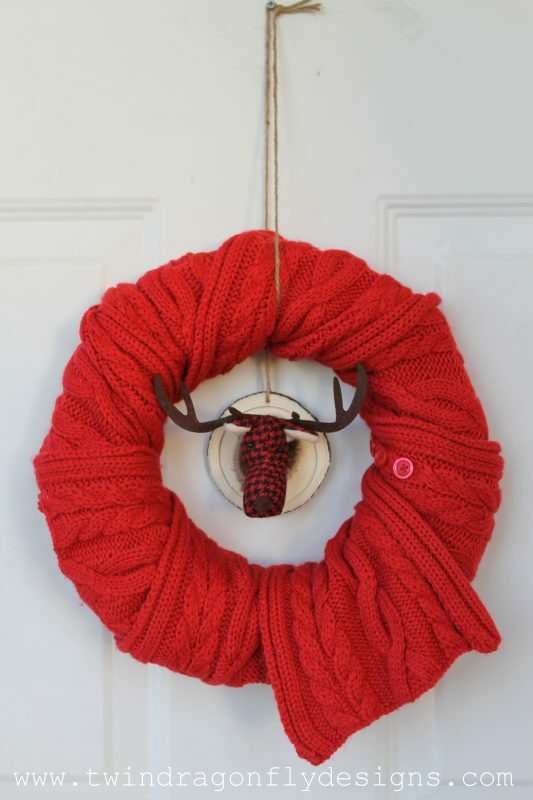 Then I hung the reindeer ornament in the center with a bit of twine. 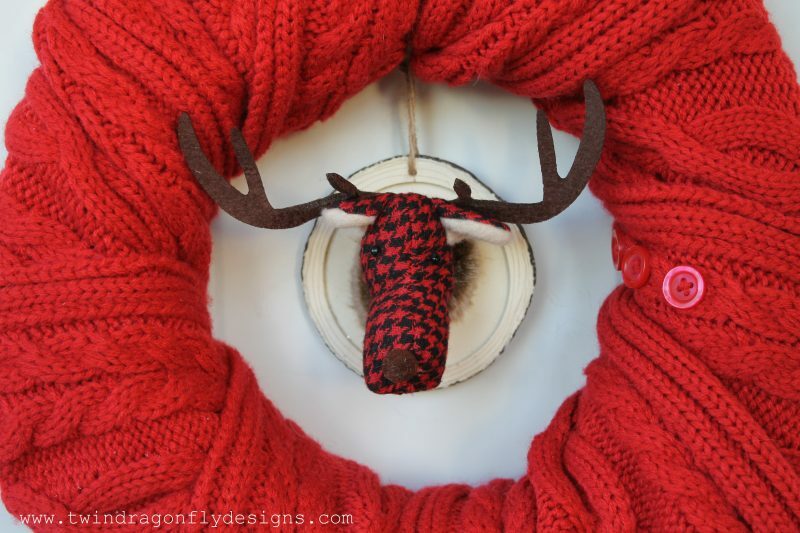 The reindeer is from Michaels, the scarf from the Thrift Store and the wreath form from Consumer Crafts. Simply cute right?! I love having a bright pop of colour on my door to greet guests as they stop by. The beauty of this project is that it is so versatile! 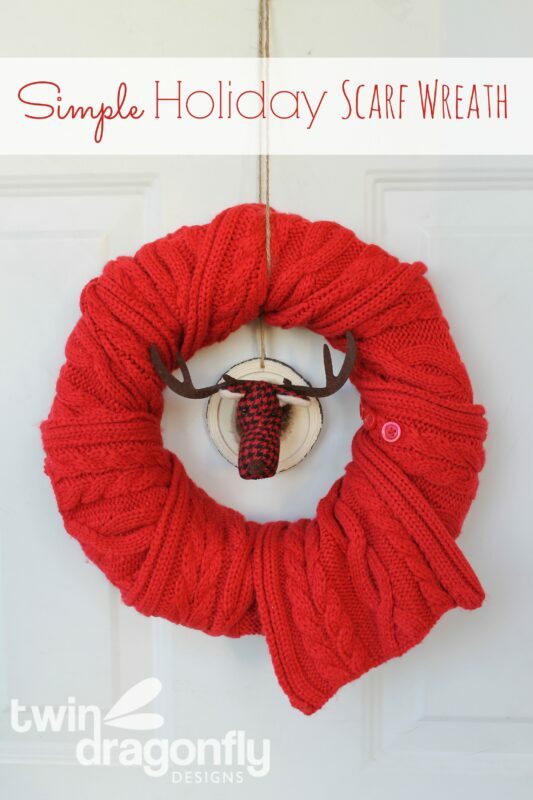 Start looking for fun scarves at your local thrift store and you can create one of these Simple Holiday Scarf Wreaths for every season! Super cute and easy – love it!